Convinced? If you’re just DYING to get this brand new comic, you’re in luck. The wait is almost over… run as fast as your undead legs will allow to your local comic shop on October 9, 2013 (that’s exactly 1 week from today!) to pick up your copy of Afterlife With Archie #1. And if you really get bit by the zombie bug–or in this case, zombie dog–head to New York Comic Con the weekend of October 10th-13th dressed up as a zombified Archie character for a chance to win prizes. And stay up-to-date on all the info by following the Afterlife on social media. 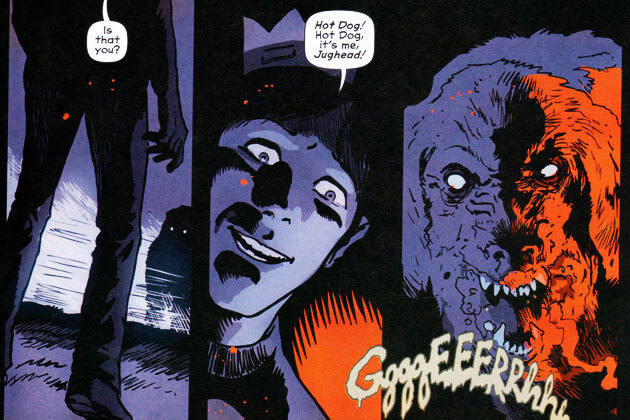 ‘Like’ the Afterlife With Archie Facebook page and follow @AfterlifeArchie on Twitter. Don’t miss out on “one of those rare, perfect comics for Halloween”!